Considering the dropping profits that dear Sammy has been witnessing this year, the upcoming offering of the flagship Galaxy S is expected to arrive a tad earlier. 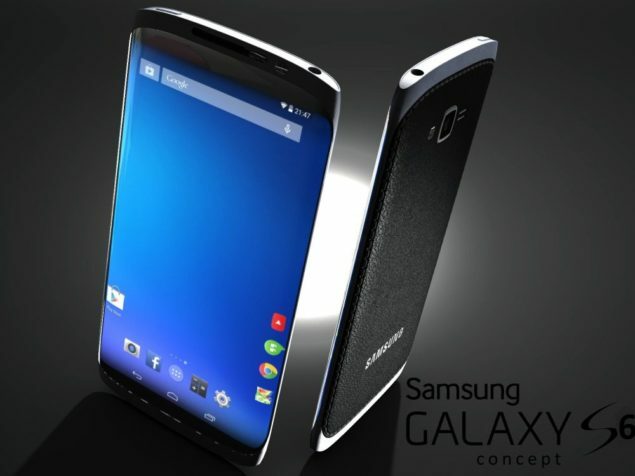 Samsung Galaxy S6, which is expected to flaunt some new design and metal added here and there, might see a launch as early as CES 2015 next month! Korean tech giant is planning to announce its upcoming flagship at CES, Las Vegas next month, reports Korean media. According to this report, both the Samsung Galaxy S6 and the rumored, dual-edge premium Samsung Galaxy S6 Edge will be launched at the event. The upcoming flagship duo will further the concept we saw with the Note 4 last quarter. Samsung released both the Samsung Galaxy Note 4 and a premium, limited Note 4 Edge. Galaxy 6 is expected to receive a similar sibling after the Note 4 Edge got quite a positive response from critics. Chosun Biz, a Korean website citing Mirae Asset Securities (MAS) of South Korea reported this news of an earlier launch of Galaxy S6 duo. The MAS analysts also expect to see Samsung selling a giant bucket full of 35 million units of Galaxy S6 and another 10 million units of the dual-edged premium Samsung Galaxy S6. Consumers Electronics Tradeshow (CES) 2015 is happening in Las Vegas from January 6 to 9. Along with Sammy, Sony and HTC are also expected to launch their flagship devices – Sony Xperia Z4, Xperia Z4 Compact, and HTC One Hima (M9), respectively. Will Samsung’s “half-metal unibody” Galaxy S6 and beautiful dual-edged S6 be able to cloud other Android flagships? We will see next month.